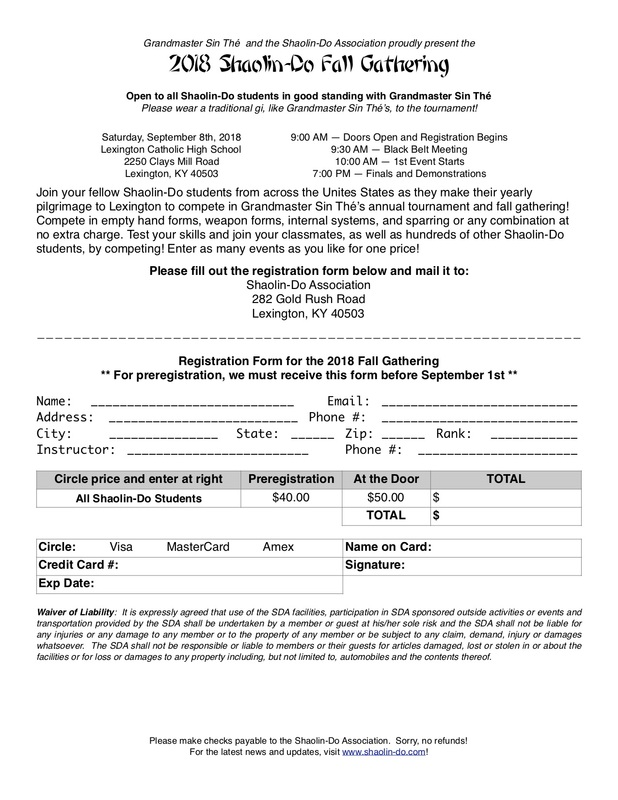 Join your fellow Shaolin-Do students from across the Unites States as they make their yearly pilgrimage to Lexington to compete in Grandmaster Sin Thé’s annual tournament and fall gathering! Compete in empty hand forms, weapon forms, internal systems, and sparring or any combination at no extra charge. 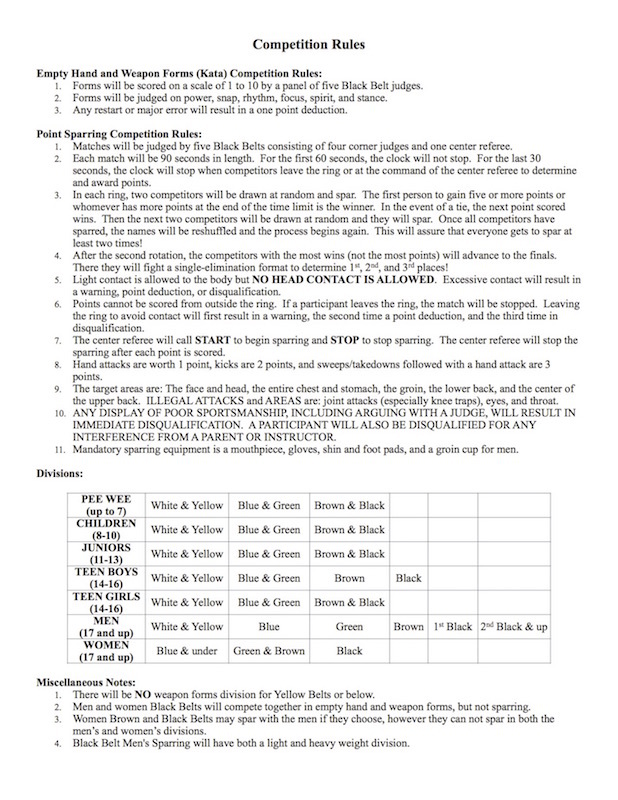 Test your skills and join your classmates, as well as hundreds of other Shaolin-Do students, by competing! Enter as many events as you like for one price!